As leading manufacturer of heavy duty industrial sewing machines and automatic industrial sewing equipment in China, we are looking for professional industrial sewing machine dealer in South Korea, to distribute our leather sewing machine (for saddlery and leather crafts), heavy duty automatic pattern sewing machine (for slings, harness and ropes), upholstery sewing machine (for thick thread decorative stitching or ornamental seams on leather sofas), Big Bag / container bag making machines, as well leather crafting tools. Before finding South Korean sewing machine dealer, we have sold these heavy duty industrial sewing machines to manufacturers directly in South Korea. Applications of 72008 class extra heavy duty programmable pattern sewing machine cover all productions of synthetic slings made of Nylon and Polyester, for industries such as cargo lifting and lashing, fire and rescue, safety & protection, automotive, aviation and military. With 300 × 200 mm of sewing area and extra large Barrel shuttle hook and bobbin capacity offer high efficiency, can easily sew 2-5 ply synthetic webbing slings (3.5mm of each). This automated industrial webbing sewing machine ordered by the manufacture of industrial webbing for lifting sling, cargo restraints, safety harnesses, automobile industry and commercial bag containment in Busan, Korea. this automatic pattern tacking machine equipped with large horizontal axis hook and extra large capacity bobbin (3 times), ideal for stitching 2-3 ply nylon or polyester webbing slings with each of 3.5 mm, using V277 (840d X 3) high tenacity polyester yarn. Recommend for sewing production of ratchet tie down, cargo lashing straps, spanet, lashing belts, lifting slings, seat belts and safety harness, tents, parachutes, rescue belts and military equipment. This heavy duty programmable pattern tacking machine ordered by the manufacture of industrial webbing for lifting sling, cargo restraints, safety harnesses, automobile industry and commercial bag containment in Busan, Korea. This direct drive programmable electronic pattern sewing machine ordered by the manufacture of industrial webbing for lifting sling, cargo restraints, safety harnesses, automobile industry and commercial bag containment in Busan, Korea. 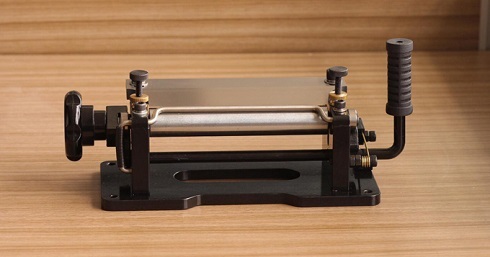 204-102MD Single and twin needle thick thread sewing machine for decorative stitching leather sofas: The special roller presser foot can easily sewing corners of leather sofas & armchair, recliner chairs, leather car seat covers. 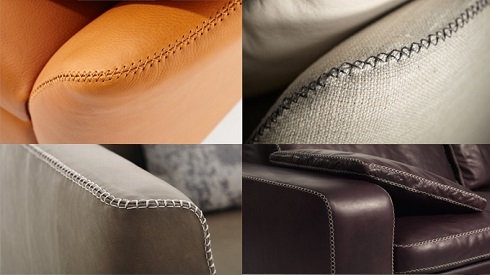 6 different cams for up to 12 different decorative stitches, including T-stitch, Box-stitch, Zigzag bar-tacking etc. This sofa ornamental stitching machine is purchased by producer of upholstered furniture and leather sofas in Incheon, Korea. 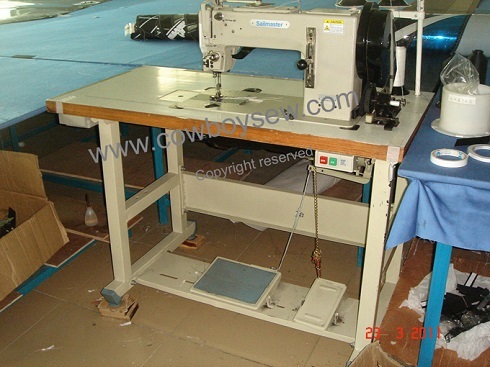 This extra heavy duty zigzag sewing machine ordered by an industrial sewing machine dealer in Korea. It is one of the finest general-purpose machines for sail makers and repairs, standard equipped with 4 Cams for straight stitch, 1-step (2-point), 2-step (3-point) and 3-step (4-point) zigzag. This sail sewing machine can be set up to sew anything from 1/2-ounce spinnaker nylon with #30 thread to 14 layers of 9-ounce Dacron cloth with #138 thread! Designed for manufacturing windsurfing sails and spinnaker, especially the one-man loft specializing in cruising sails for boat under 35'. 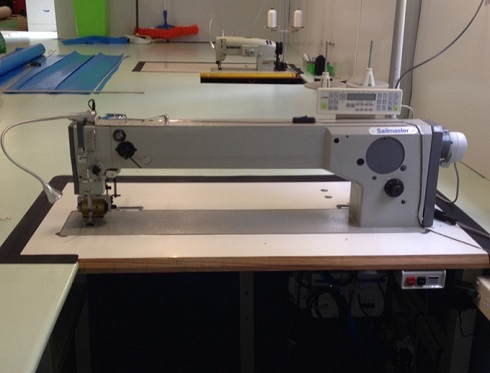 This sail sewing machine ordered by sail maker in Daegu, Korea. Long arm medium weight zigzag sail maker sewing machine for light to medium weight spinnakers, windsurf sail and up to heavy sails, using needles size 90 - 130 with thread sizes V46, V69 and V92 and capable of processing materials up to 10mm. 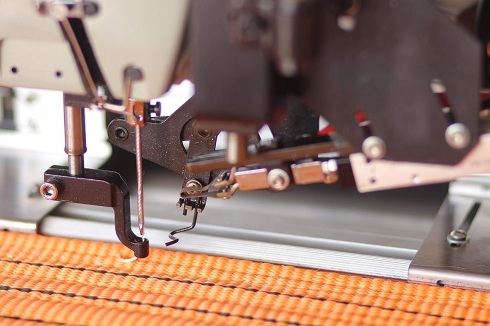 All kinds of zigzag operations in light to heavy weight Dacron, Kevlar, Webbing, Canvas and leather can reliably be realized with these machines. The basic mechanics (Rotary hook, adjustments and timing) is the same with Durkopp Adler 72525 and Minerva 72525, therefore it is easier for the sail lofts already worked with Adler 525 spinnakers machines. This sewing machine is recognized as the best spinnakers machine in the sail making industry. This sail sewing machine ordered by sail maker in Gyeongnam, Korea. 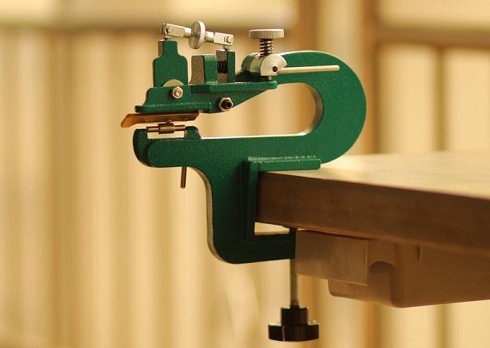 The CB-806 leather splitting and skiving machine is an excellent choice for the leatherworker on a budget that requires a very sharp, efficient leather splitting machine for doing a multitude of leather splitting operations around the workshop. An ultra convenient cam brake on the right hand side of the machine allows the user to lock the handle in place for using both hands to pull the leather through. This feature is normally found on leather splitters costing much more money. This leather splitter ordered by a professional dealer of leather crafting tools in Korea.